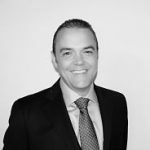 Founded in 2016 by Kevin S. Ballard (Chief Commercial Officer) and Manuel E. De Luque Muntaner (Chief Executive Officer), Wealthics Global Partners Ltd. (‘Wealthics’) is an independent provider of best-in-class asset management solutions. After providing years of Wealth Management services, we have learned the value of the client relationship, therefore we are committed to maintaining the highest standards of integrity and professionalism in growing our relationship with you. Whether a current client or someone interested in our services, we endeavor to know and understand your full financial situation, and provide you with only the highest quality information, services, and products to help you reach your goals. Wealthics Global Partners has searched the world for what we believe are the most outstanding investment managers and have partnered with a select few to bring their signature investment strategies to you and your clients. Wealthics seeks to build investment solutions that are relevant and meet the needs of its distributors and investors. To achieve this, Wealthics invests in quality people to deliver the highest service standards. Through our strategic partnerships with international fund managers, we provide investment solutions across a diverse range of asset classes including international securities, alternative investments, domestic and global property securities, fixed income and global infrastructure securities. At the core of brand Wealthics is our proposition – ‘We only do what’s right for you’. It is our belief system, our unwavering resolve to deliver financial solutions that are ‘right’ for our customers and the society at large. It embodies the relationship we wish to cultivate with our customers. An unshakeable bond rooted in trust by delivering superior customer experience at all times. 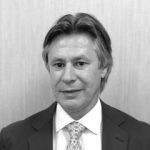 Co-founder and CEO of Wealthics Global Partners, Manuel has more than two decades’ experience across all fields of private banking, asset management, institutional fund distribution, marketing, investment research, and manager selection. Before founding Wealthics with his colleague Kevin, Manuel was Director of a regulated Equity Long/Short FOHF, where he worked from 2008 to 2015. In 2007 he was headhunted by Credit Suisse to set up high net worth client relationship team for the Spanish Market. From 1998 to 2007 Manuel held several senior leadership positions at Lloyds Bank in different jurisdictions such as Isle of Man (Graduate Management Trainee & Relationship Manager), Spain (Private Banking Director) & Monaco (Private Banking Area Manager). In 2002 spent 1 year at Citibank Spain as Senior Relationship Manager, to pioneer and develop from inception a new personal banking operation, devising an effective marketing strategy to propel the growth of CB’s onshore client base. 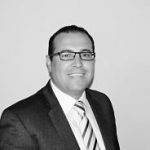 Manuel previously worked in GAM and Axa Equity & Law in the Isle of Man and Banco Popular in Spain. Manuel completed his BA (Hons) at Universidad Nebrija & European Business School, London; earned a Master in Banking & Finance (MBF) from the IEB, Charter Wealth Manager and Master Financial Planner and an MBA from La Salle University. Co-Founder and Chief Commercial Officer of Wealthics Global Partners, Kevin has been working in the offshore financial industry for 16 years. Kevin started his career in 1999 working for a major Offshore Life Assurance Company in the Isle of Man. In 2004 he was approached by one of the worlds largest Independent Financial Advisory firms to manage Compliance & Administration in their largest and most profitable office in Mexico City. 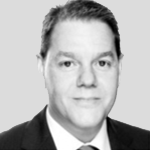 Whilst in Mexico in 2006 Kevin sat the CII FIAQ exam and made the transition to International Financial Advisor. Kevin returned to the Island with his Fiancee in December 2008 to start a family and in early 2009 was appointed Intermediary Business Development Manager for Lloyds TSB International. His jurisdictions included Isle of Man, the Channel Islands, Monaco & Latin America where he forged strong relationships in specialist industries such as CSP’s, Global IFA’s, Yachting & Aviation & International relocation companies. In April 2012 Kevin was hired by a UK Strategic Land Fund to manage global sales. Via his network of international brokers and strong relationship management Kevin was instrumental in increasing the Fund AUM from £15m to £70m in 4 years. In August 2016 Kevin & longterm friend Manuel decided to create Wealthics Global Partners. Their combined knowledge of the financial services industry, decades of experience and hundreds of global contacts makes them ideally placed to identify Funds & products they believe offer both capital protection and growth but with a strong focus on ethical investment and transparency. Over 20 years experience across Private Banking, Wealth anagement and intermediary relationships. (B2B). Has worked as Head of EAM for Julius Baer, Credit Suisse and Team Head for Lloyds TSB in Zürich, Panama, Montevideo, Bahamas, Miami and Buenos Aires. Hold a title as Certified Wealth Management Advisor (CWMA). BS, MIS, and BBA from Saint Louis University, MO, USA. Oxford Said University Fintech Program. Credit Suisse (2008-2014) Barclays Bank (1990-2008) Grindlays Bank (1985-1990) Pierre graduated MSc in Economics at University of Nice.